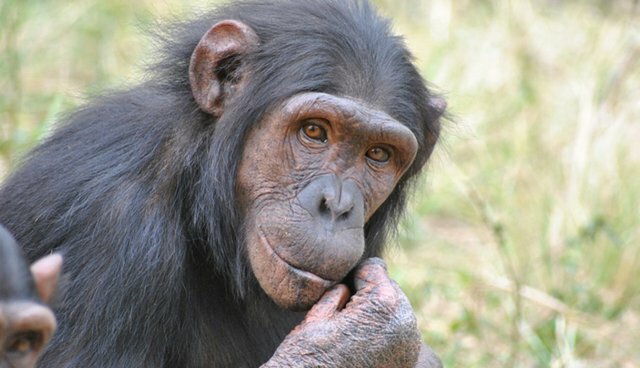 A landmark case advocating for the right to "legal personhood" for chimpanzees is headed back to court next week to argue on behalf of their plaintiff, a 26-year-old chimp named Tommy. Lawyers from the Nonhuman Rights Project (NRP) will appear in Albany at the New York Supreme Court's Appellate Division on Wednesday to appeal a decision handed down last December that denied a petition to invoke the writ of habeas corpus on behalf of the chimp. NRP aims to invoke habeas corpus, a legal summons that would require a person who is holding a prisoner against his will to appear in court and declare why they're holding him. It's a trope that has been used historically in cases of people being held against their will, most notably with slaves and indentured servants. In court on Wednesday, lawyers from NRP will argue that chimpanzees are autonomous, self-aware, highly intelligent and emotionally complex beings who fit the definition of a "nonhuman person." Therefore, they say, chimps are entitled to a common law writ of habeas corpus when imprisoned within the State of New York. "What we're asking for is for chimps to have one basic fundamental right to bodily liberty," Natalie Prosin, Executive Director of NRP, told The Dodo. "We're not making claim for chimps to have the right to vote, or drive a car or become citizens. If this right to bodily liberty is granted, Tommy will be transferred to a sanctuary." Tommy, who was raised from infancy in a troupe of performing circus chimps, now lives in a cage on a used trailer lot in Gloversville, New York without other chimps. Representatives from the North American Primate Sanctuary Alliance have offered to retire him to a sanctuary where he can live with other chimps, but his owner has refused. The case is one of three others like it being appealed by NRP in New York. The second case involves Leo and Hercules, two chimps being kept at Stony Brook University, while the third case concerns a chimp named Kiko, who's being held on private property in Niagara Falls, N.Y. The organization is planning on filing many more cases in coming years - the plan is to file one case on behalf of one or more elephants and another case on behalf of one or more chimps. "We're looking at species that we can prove in a court of law are determined emotionally and cognitively complex to qualify for personhood," said Prosin. "We believe that we have evidence for this level of cognitive complexity for all species of great apes, African and Asian elephants and some cetaceans like orca whales and dolphins." Advocates hope that if legal personhood is indeed granted at the end of the court proceedings, then the chimps will live out their lives at sanctuaries, rather than as a pet like Tommy or as lab subjects like the other two plaintiffs. "It would be a very good thing for other chimp cases if the appellate court granted legal personhood status in this case," Prosin said. "That would set a very good precedent for us in the future."